Frighteningly unseasonable weather well into November meant the green pepper plants kept producing until just a few days ago. Experience warns the appearance of great bounty precedes a painful-down-to-the-soul crash; it’s a false joy. 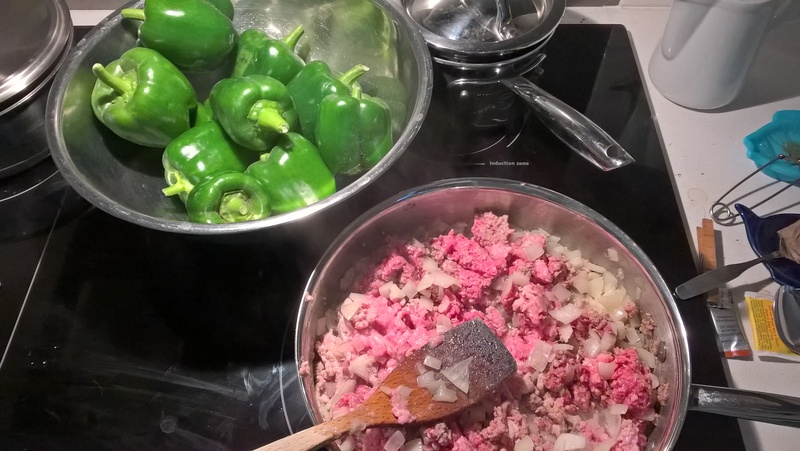 But waste is pointless, so stuffed green peppers for several days it is. With a side of impending doom. And then on to new and other things. Recently I came across the website of a fabulously named restaurant in Land, Oregon: Viking Soul Food. As a midlander, the Northwestern United States does not come to mind when thinking Nordic. But it is, and there you are. My thoughts were already pointed due north. A year of Nordic cooking, perhaps. Yes, a year of Scandinavian cooking has a better ring to it. However my half-Swedish cousin rarely fails to remind that Finland, from whence my side of the family comes, is not technically part of Scandinavia, ergo it’s erroneous to claim the heritage. That’s why I hang with the German cousins.